Arto. Fondling Ted Danson. In Las Vegas. What happens in Vegas stays in Vegas… unless you fail to do your blog duties! This entry was posted in Greatest hits and tagged dave trolling arto, humor, humour. Bookmark the permalink. With friends like that, how could you resist writing a post. I freakin’ love you guys. We freakin’ love you back, midlifemeg! I’m comfortable with this. Ted Danson, man. I’m also slightly excited, or perhaps more worried, to see what kind of Google search results lead people to this post. Have a fabulous week, y’all. I don’t know how the song plays into it, but thanks for the comment and the sentiments! The song plays into being “Willing” or not. That’s all. I’ve been holding onto this photo for months so I could have the chance to unveil it on an occasion like this one. Glad you enjoyed it! 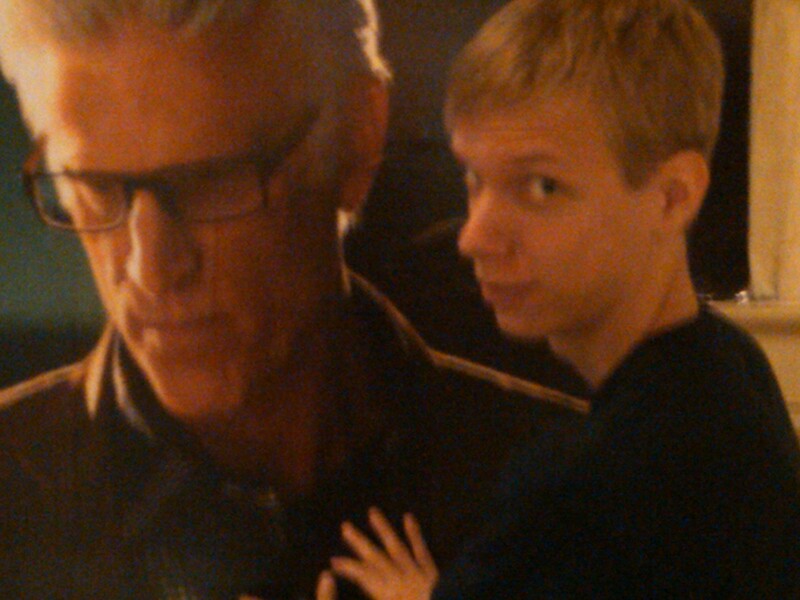 If I saw a giant picture of Ted Danson, I would definitely hug it too. I would stroke it, and maybe even give it a little lick, but only if there was no one taking a picture of me. You may be overestimating yourself, my friend. Arto was uttering those exact same words, but was so taken by Mr. Danson’s likeness that when I pulled out my camera, he couldn’t find the will to object. He just stared, longingly, into the lens, submitting to his desire to commemorate the time he was in the presence of the Ted. I would say I shared Becky’s sentiments exactly, with the small change that I would ONLY do it if there was someone taking a picture of that wonderful moment. And so it was.